Croatia is known for its natural beauty, crystal clear sea and delicious local food. But, that's not all! There are other interesting things and discoveries made by Croats - things you use in daily life and you probably didn't know they originated in Croatia. So, check out these 11 fun facts and get to know Croatia even better. Necktie, originally known as cravat was worn by Croatian soldiers on their visit to the French king Louis XIII, in the 17th century. The king liked it so much that he ordered one to be made for himself - and the rest is history. The new fashion style became so popular that it quickly spread all over Europe. 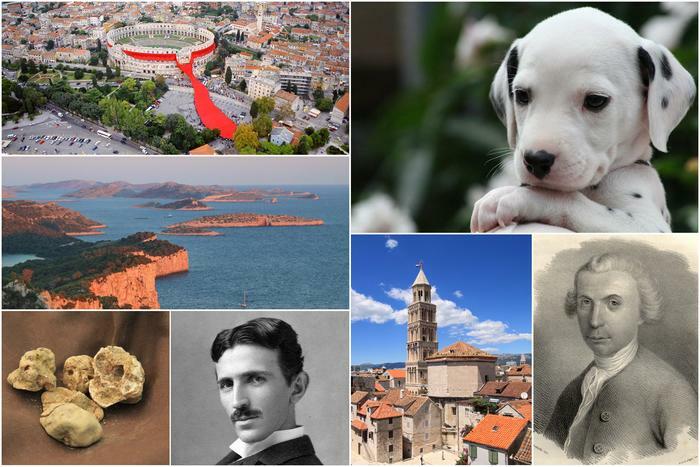 The origin of this globally popular breed of dog can be traced back to Croatia, particularly its region of Dalmatia. Unique for its white coat with black spots, the Dalmatian gained in popularity after the first 101 Dalmatians movie was released. Croatia has one of the most indented coasts in the world, with as much as 1246 islands, islets and reefs - out of which only 48 of them are populated. Book accommodation on Brač or some other popular island and discover all the beauty of Croatian coast and sea. 2715 hours of sun have been measured in Croatia, which is more than Sidney, Australia! One of the sunniest islands in Croatia is Hvar, which makes it a perfect destination for holiday both in summer and in spring. This globally famous scientist who changed the world with his revolutionary discoveries was born in Croatia, in a small village of Smiljan, on July 10, 1856. Croatian Slavoljub Penkala invented a mechanical pen - 'penkala' - in 1906, in his company TOZ in Zagreb. The oldest Catholic cathedral in the world is the Cathedral of St. Duje (Saint Domnius), built in Split more than 1700 years ago as a mausoleum for the Roman emperor Diocletian. The construction of its unique belle tower started in the 13th century, and was finished in the 16th century. The largest truffle in the world was discovered in Istria, in 1999 - a white truffle which was then listed in the Guinness World Records. Besides Italy and Spain, Croatia is one of the biggest truffle-producing countries. Ruđer Bošković, a famous Croatian scientist and revolutionary, suggested placing five concentric iron bands as the best way to secure the stability of the dome of St. Peter's Basilica in Rome. To this day his solution kept the precious art of Michelangelo safe. Croatian Ivan Vučetić invented dactylography - a science of using fingerprints for identification, used today mainly in forensics but in other fields as well. Croatian Marko Marulić (1450 - 1524) is considered to be the first one to use the word 'psychology' in his literary work Psichiologia de ratione animae Humanae.